Enjoy this third edition of our most popular e-book. 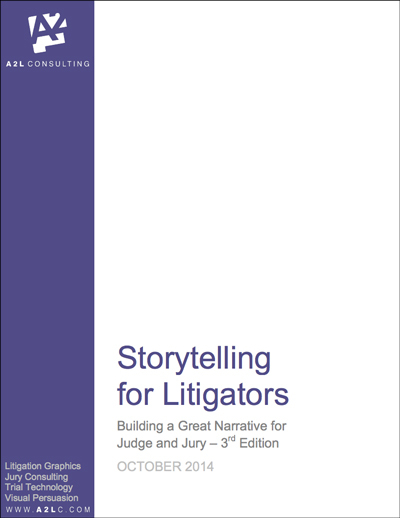 It's our biggest e-book yet compiling articles related to storytelling and persuasion generally. All brought to you by a firm that is consistently voted the top trial graphics, jury consulting firm and visual persuasion firm.